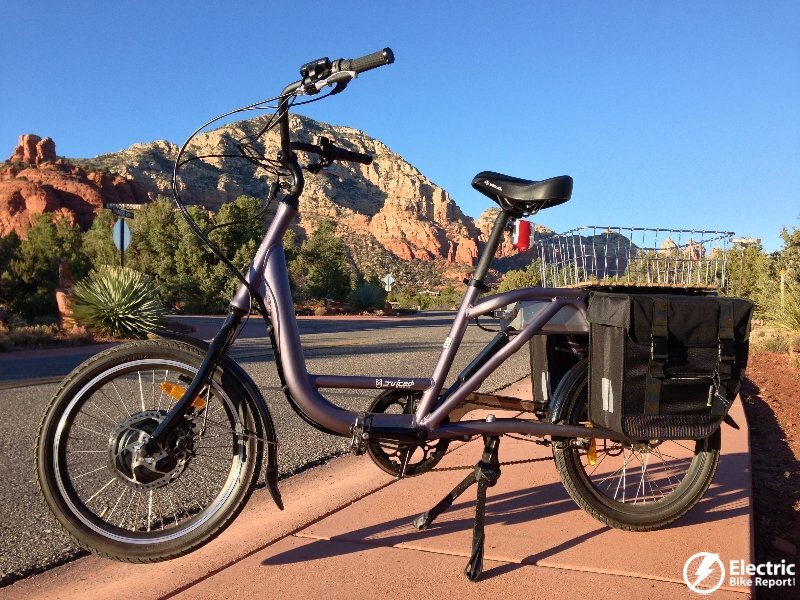 Here is part 1 of the Juiced Riders ODK electric cargo bike review! 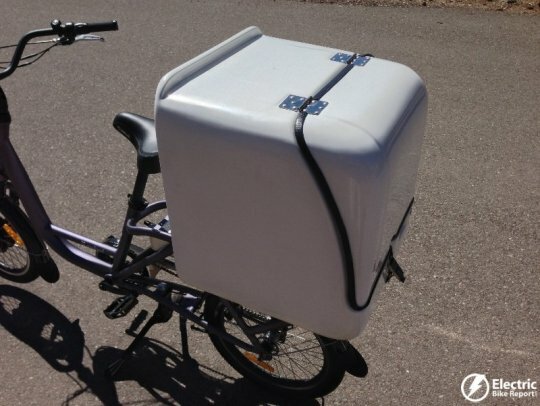 The ODK is a versatile e-cargo bike that can carry some serious payload: 330 lbs (rider + cargo)! The ODK has a number of different accessories (bags, baskets, kid seats, small and large trunks, etc.) that can be used to customize your e-cargo ride. This post will give you an idea of the specs of the bike along with a detailed video and tons of pictures! 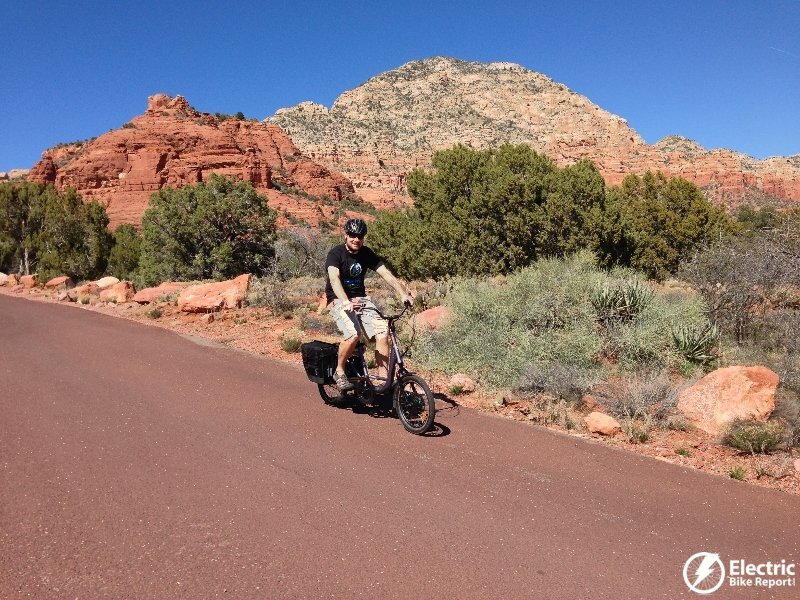 After you review the specs, video and pics checkout the full review that includes ride characteristics, range test results, pros, cons, and overall impressions! Frame: Aluminium frame with integrated cargo rack with multiple cargo accessory attachment options. 330 lbs. total capacity (rider + cargo). Fork: Custom steel fork with torque plate for front hub motor. 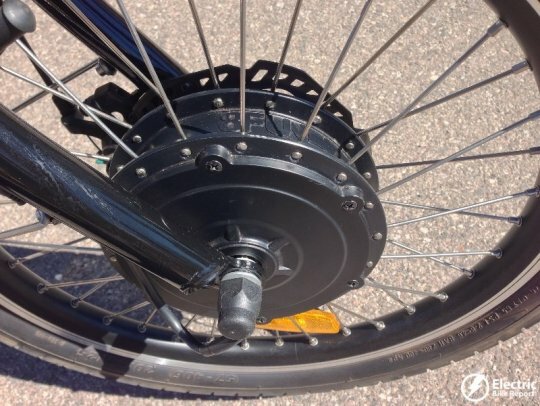 Motor: 500 watt Bafang sensorless geared front hub motor. Battery: 48 Volt 15 Amp Hour lithium ion with integrated battery management system housed in a custom 3-piece aluminium enclosure. Assist Options: Twist grip throttle with cruise control! 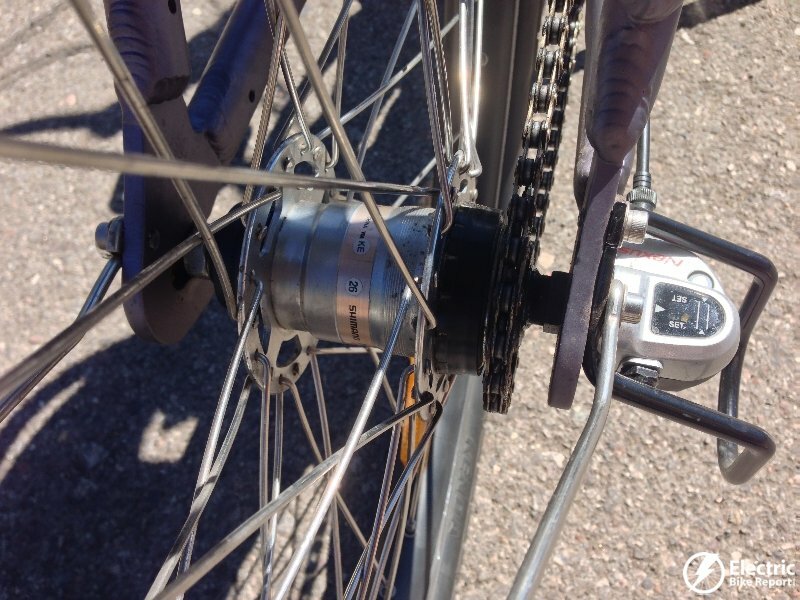 Drivetrain: Shimano Nexus 3-speed internally geared rear hub. 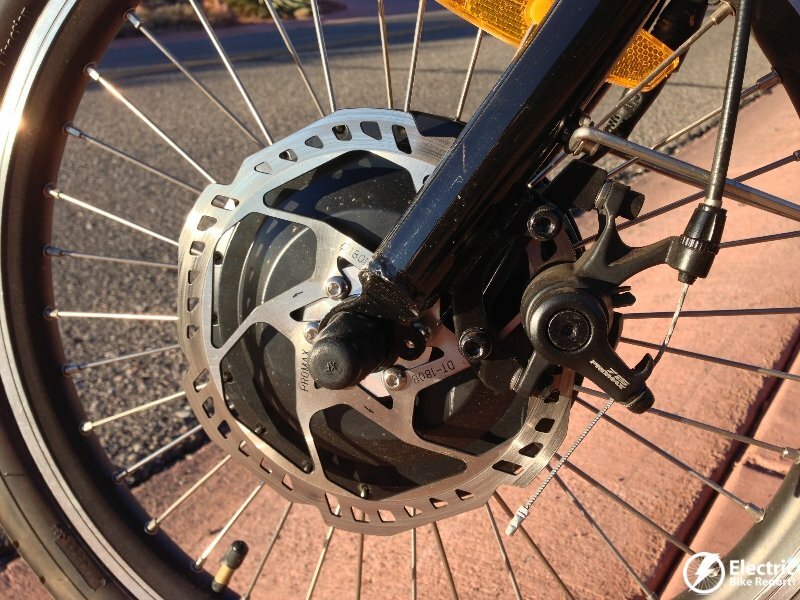 Brakeset: Promax DSK 715 front mechanical disc brake. Promax rear V-brake. Tektro EL320 brake levers with electric assist cutoff sensors. Stem & Handlebars: Promax stem with steel handlebars and Velo Lock-on grips. 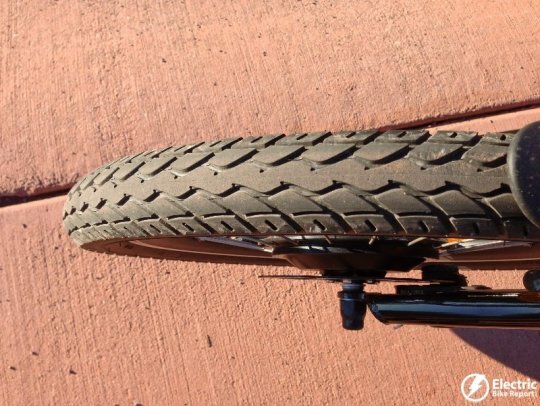 Tires: 20″ Kenda e-bike tires. 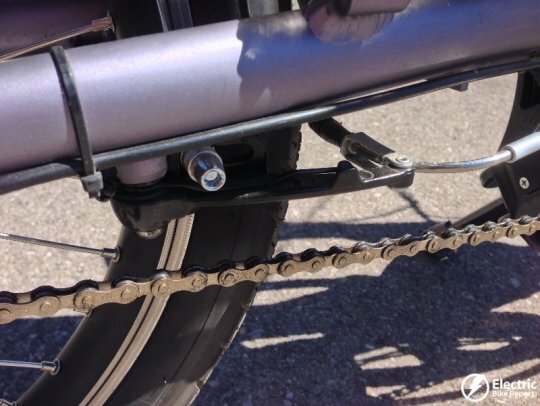 Accessories: Fenders, Chain guard, Kickstand. Additional accessory options: panniers, baskets, kid seats, small lockable trunk, large lockable trunk, etc. Sizes: 1 size fits all. Step through frame design with adjustable seatpost. Price: $2,099 at the time of test. Here is a link to the information page of the Juiced Riders ODK electric cargo bike. 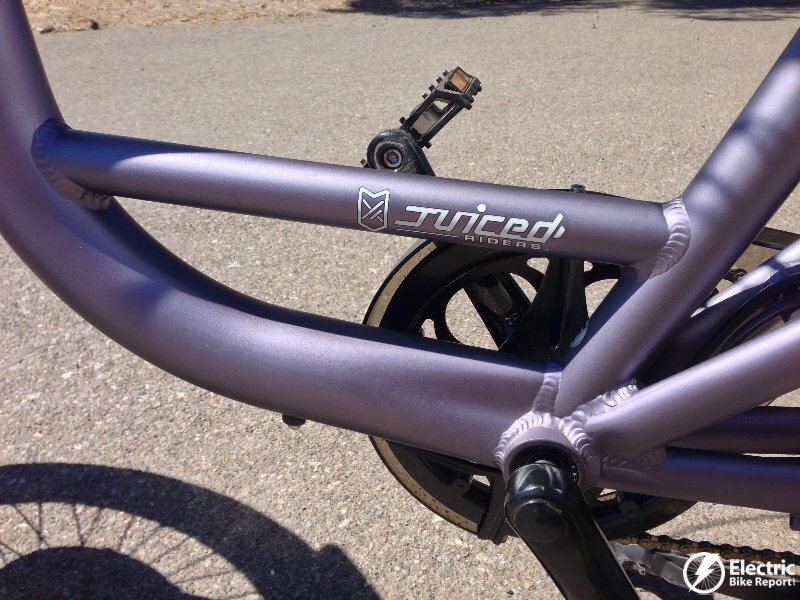 Checkout the Video & Pictures of the Juiced Riders ODK! The Juiced Riders ODK ready to run some errands! The ODK has a very large step through area which is very nice when you are carrying heavy cargo; it makes getting on and off the bike very easy. It also will fit many people. This is an additional cross tube in the step through area that helps reinforce the aluminium frame of the ODK. The ODK has an aluminium frame with reinforced gussets to make it a stout cargo hauler. This is the Bafang 500 watt geared front hub motor. This thing can peel out! The Promax front mechanical disc brakes with 180mm rotor provide solid stopping power. This is the Promax rear V-brake mounted under the chainstays. The ODK comes equipped with the Shimano Nexus 3 speed internally geared rear hub which keeps the drivetrain clean and simple. The Kenda e-bike specific tires are used front and rear. The inner tubes are 4 times thicker than normal tubes and if you use Slime sealant the chances of getting a flat are pretty slim. 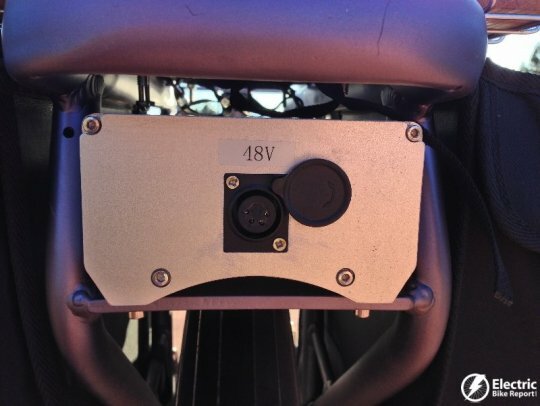 The on/off switch for the bike is on the front side of the battery just below the seat. There is also a fuse for the battery located on the other side. The controller is mounted just in front of the battery. It looks like it is easy to change out if there is ever a problem with the controller. The charger connection is on the back of the 48 volt 15 ah lithium ion battery pack. 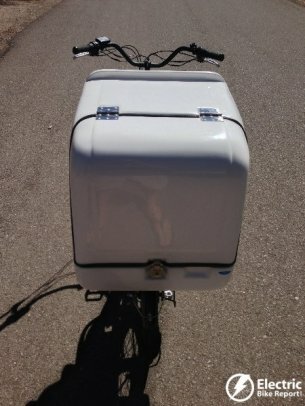 The pack is housed in a custom aluminium enclosure and integrated into the rack. View of he ODK command center! 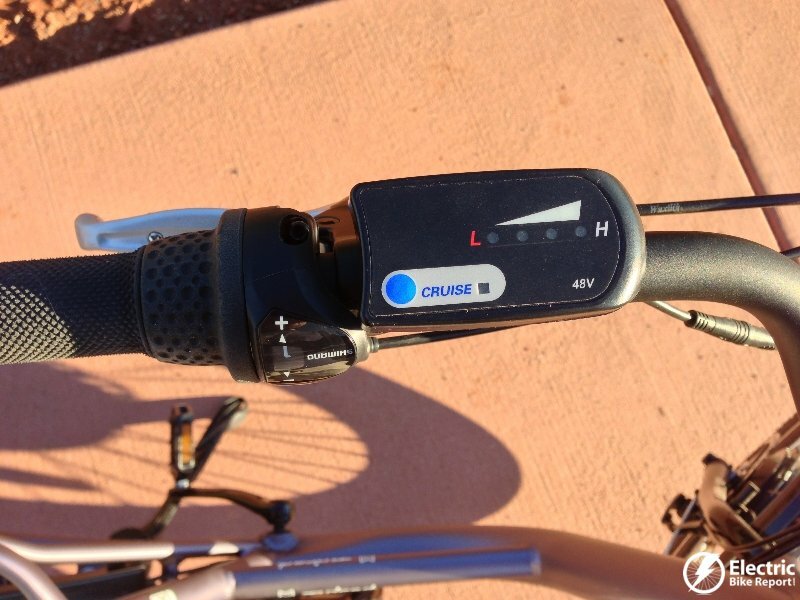 Twist grip throttle and bell on the right and control display and Shimano Nexus 3 speed grip shifter on the left. The control display shows the battery level and has the cruise control button. The cruise control was very handy on long uninterrupted sections of road. To enable it, get up to your desired speed and then push the button and let go of the throttle. It discontinues as soon as you grab either brake lever or twist the throttle or push the cruise control button again. This is the wiring harness that consolidates all of the electrical wires and keeps the bike looking clean! 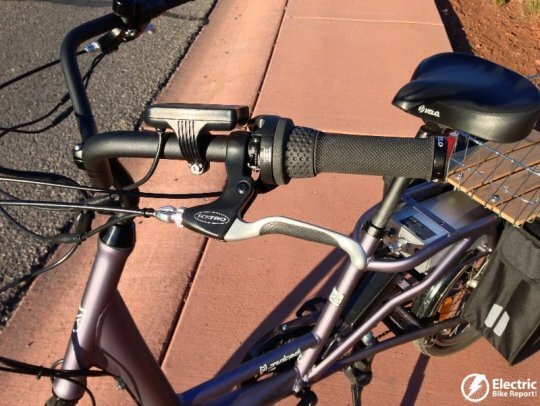 The Tektro brake levers have sensors that will cut off the electrical assist when you grab the brake levers. And that is true even if you still are twisting the throttle. 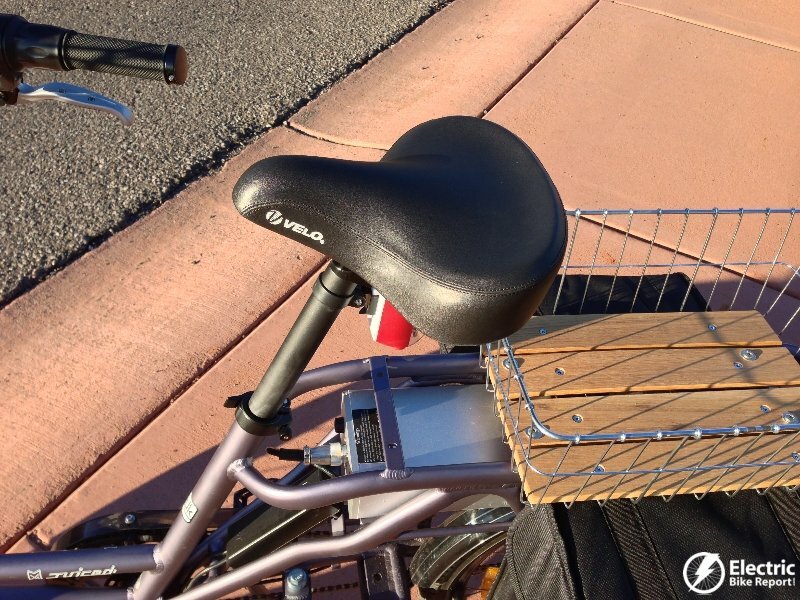 The ODK comes equipped with a comfy saddle from Velo. This is the cargo setup with the Wald basket and Basil Tour XL bags. The Wald basket and Basil Tour XL bags and a view of the battery and integrated rack. And here is the big trunk! 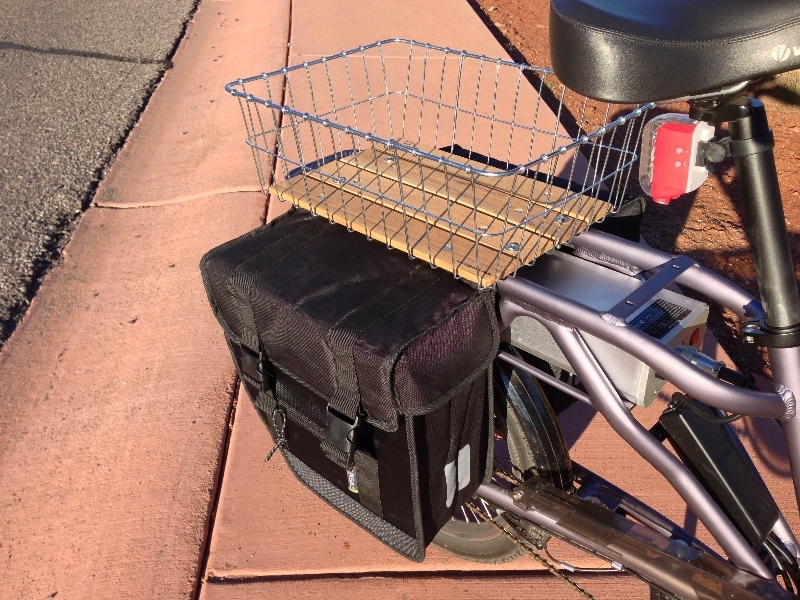 This is handy for picking up groceries and other items on errand routes. 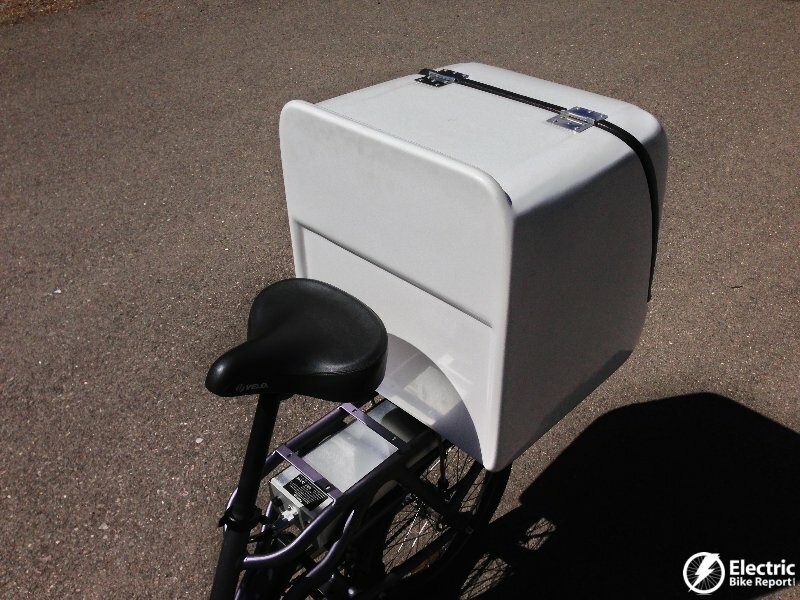 It could also be used by restaurants and messenger businesses for local deliveries. The big trunk comes equipped with a lockable latch which is handy when you are out running multiple errands. 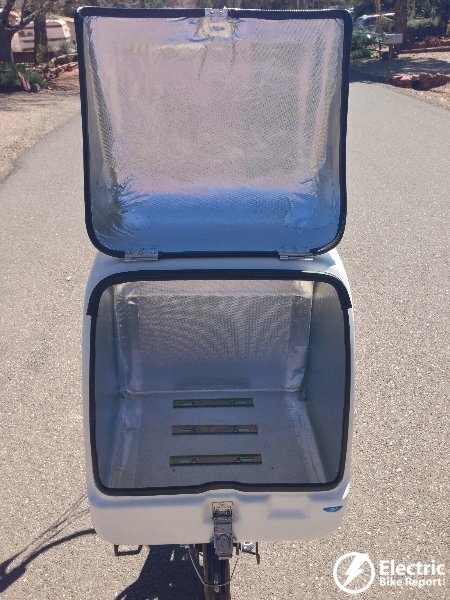 The interior of the big trunk has a little bit of insulation for the food delivery option. The backside of the big trunk is a nice back rest! Yours truly out on the ODK! 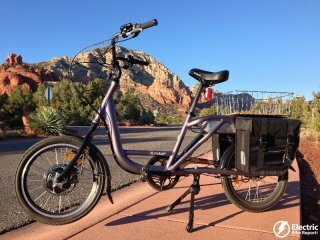 Now checkout the full review of the Juiced Riders ODK electric cargo bike! As a big electric cargo bike fan, I see some really good ideas on this bike but two safety concerns. No rear disc brake-A must for such a heavy bike especially designed for carrying cargo. 1. Cargo weight plus ride weight plus weight of bike is closing in on 500 lbs. 2. 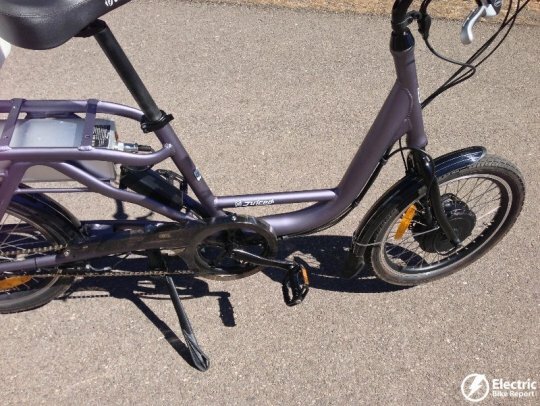 500 watt front fork mounted motor-Really bad idea and potentially catastrohic. Front bicycle forks are not made for the weight and stress of a big heavy motor. Amateur mistake being repeated. There are documented cases of this being done in the past and resulting broken forks have landed riders in the hospital. Lightweight lower power front drive motors seem to be okay but 500 watt 48 volt system is an accident waiting for a place to happen. There are other concerns with front fork motors but the potential of a breaking fork is enough for me to pass. This is Tora the designer of the bike. 1. The bicycle carrying capacity is rated for 330lbs total (Rider + Payload) … 500lbs would indeed be overloaded! See the first line of the spec. 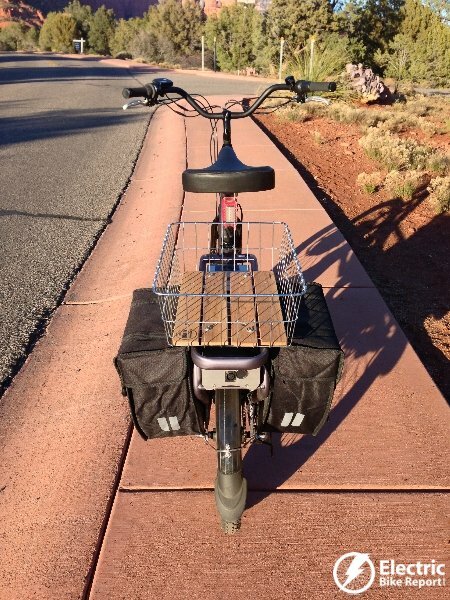 The rear brake can easily lock the rear tire as the majority of the stopping power is located in the front on such a “mid-tail” cargo bike. 2. For the 500W fork mounted motor: The fork is a custom part tuned for the 500W motor running at 48V. Both dropouts have been increased in thickness and the fork is hardened steel. 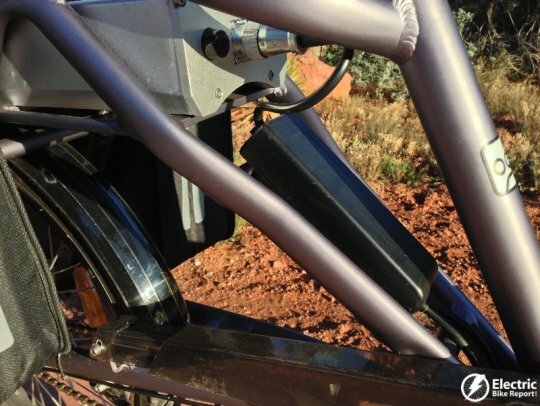 The width of the drop-out is increased to 104mm so the forks do not pinch the axle. 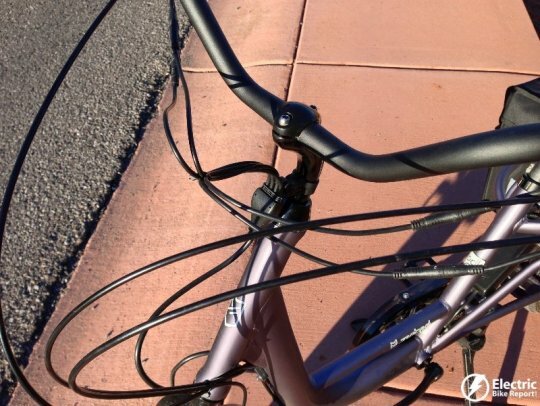 It took us about 1 year and to make and test the fork as we realized NO “bicycle” fork was adequate. We trashed about 70 forks before arriving at the current production unit. 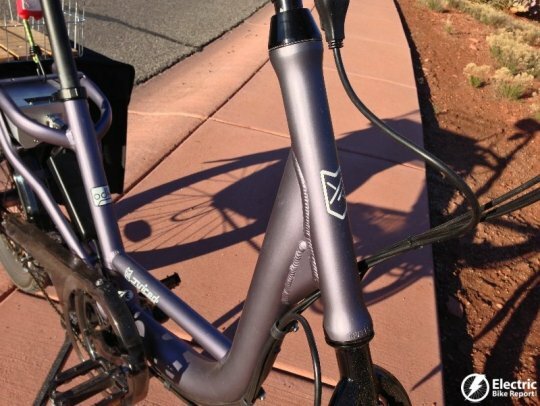 Documented failures are from aluminum forks or high torque motors with sub-adequate dropouts. We do not use such parts. 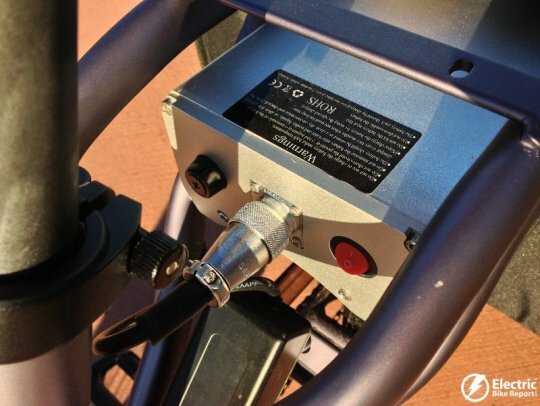 Also we specially program the controller to reduce shocks upon rapid accelerations. The quality and ruggedness of this bike is unlike any out there today. 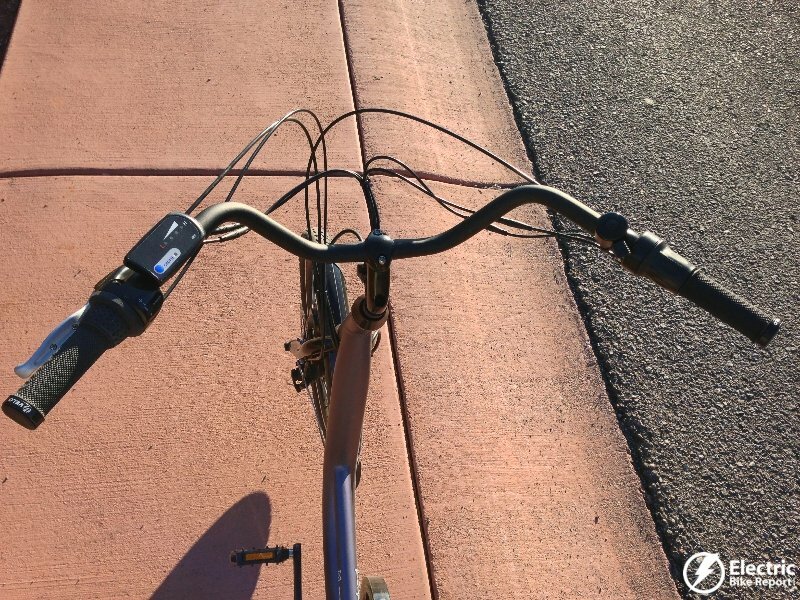 I ride this bike 4 – 5 times a week about 30 miles every day. With my weight and what I am carrying takes it to about 320 lbs. I have had no issues or concerns about the fork. This is a great bike. If you ever get a chance to test ride one, you will see the quality of the engineering of this bike. I am a proud owner of this bike. I love it. I own 3 other ebikes besides this one and this is my favorite. The low step thru is great. The bike is very well built and strong. I have had it for 3 months now and have over 1100 miles on it. I use it to commute back and forth to work. 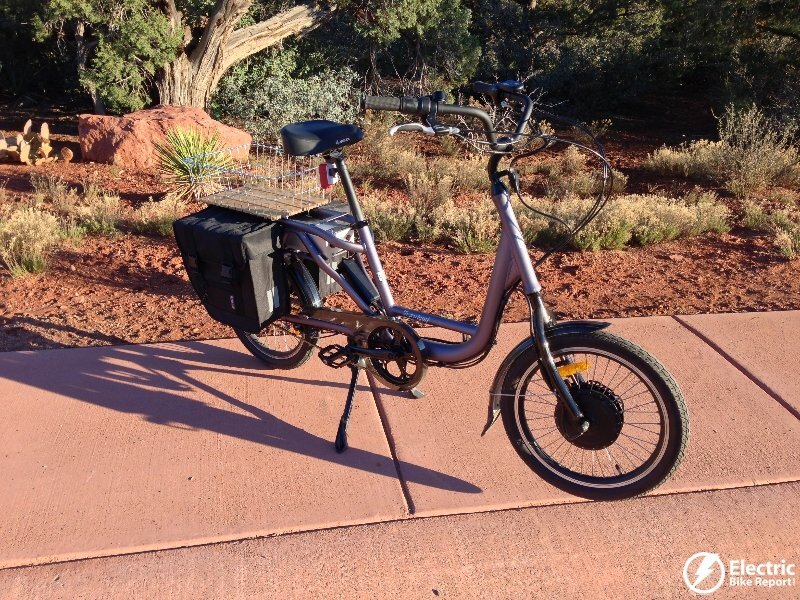 It is great for climbing hills and I love having the 15 amp battery. How much product liability insurance backs your claims? Where does the weight of the bike itself fit in? Do you have any documentation for the testing of the forks? I remain a skeptic because I ride with very precious cargo…my two young daughters.